India successfully test fired its indigenously developed nuclear-capable Long Range Ballistic Missile Agni-5, which has a strike range of 5,000 km, from a test range off the Odisha coast. 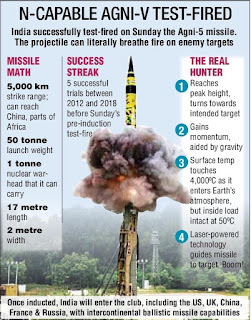 The surface-to-surface missile was launched with the help of a mobile launcher from launch pad-4 of the Integrated Test Range at Dr.APJ Abdul Kalam Island, earlier known as Wheeler Island, at 9.45 am. 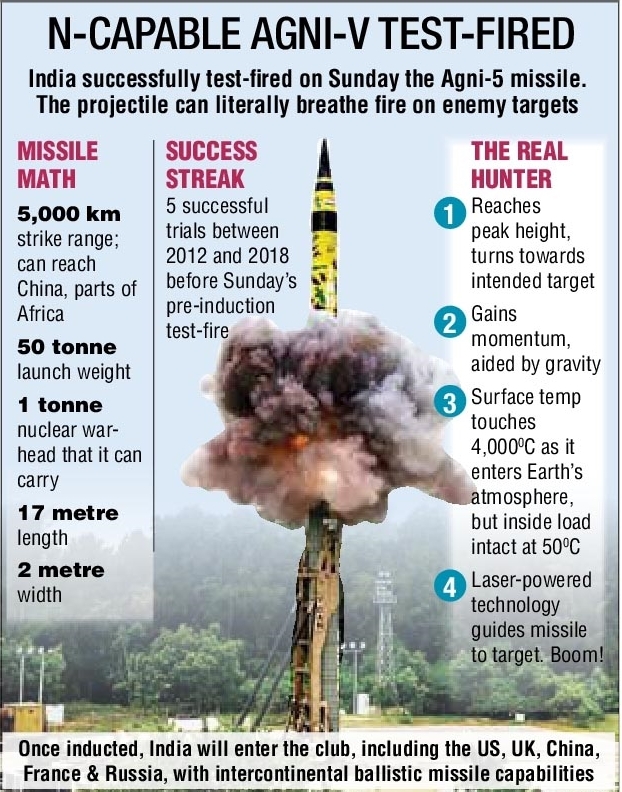 This was the sixth trial of the state-of-the-art Agni-5 which covered its full distance during the test. Unlike other missiles of the series, Agni-5 is the most advanced with new technologies in terms of navigation and guidance, warhead and engine. Many new technologies were successfully tested in the Agni-5 trial. Navigation systems, very high accuracy Ring Laser Gyro based Inertial Navigation System and the most modern and accurate Micro Navigation System had ensured the missile reached the target point within a few meters of accuracy. 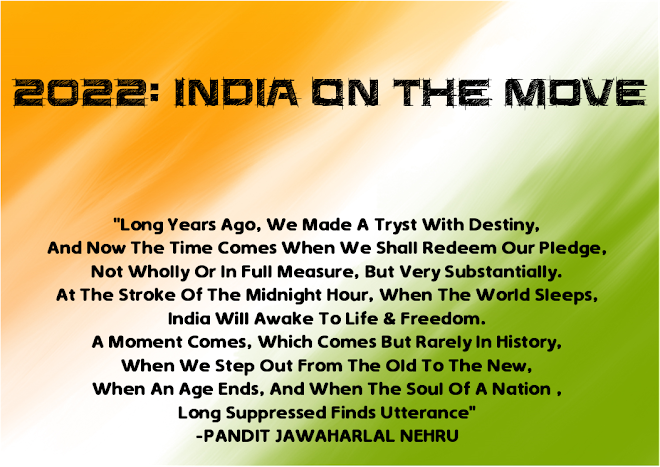 The high speed on-board computer and fault tolerant software, along with robust and reliable bus, guided the missile flawlessly. At present, India has in its armoury the Agni series - Agni-1 with 700 km range, Agni-2 with 2,000 km range, Agni-3 and Agni-4 with 2,500 km to more than 3,500 km range.